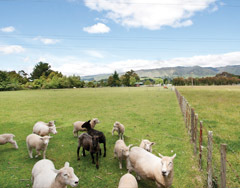 Property Brokers expert lifestyle sales consultants have tips on buying a lifestyle block, farm or rural property. If you are looking at this page then you must have made the fantastic decision to start looking for a lifestyle property. We have created a list of things to consider so you can find the perfect new home. What would you like? Write a wish list and go online or get your local property publication to see if there is anything on the market that you like. Consider what you would like to achieve on the property and think about whether the house is the most important thing to you or whether it is what you can do on the land. If you would just like some space and to be out of town then you can save by buying a smaller property. Water and power- are these connected to your site or will you need to arrange this at your expense? Zones and school zones- Is your property zoned rural or residential. If you have kids go to our school zones finder and find out about schooling in the area. Most of our team are lifestyler’s or farmers themselves so pick their brains and get some advice on anything you don’t know about. What if I like a property that’s listed with someone else? Our team are experts in their areas and know practically everything that’s on the market. Even if the property is listed with another company in most cases we can arrange a viewing in conjunction so we look at all of your options when out and about with you. Make sure that you have a good solicitor and that you have arranged your finance with your bank manager. It’s time to make an offer! Your sales consultant can arrange for you to sign a Sale and Purchase of Property agreement, which is approved by the Real Estate Industry of New Zealand. Let us know if there are any special conditions you would like including finance, building reports or anything else. We can arrange for this to be sent to your solicitor for approval before you sign. The offer becomes unconditional once these conditions are met.